Today I wanted to jump into your inbox to talk to you about being indecisive. Are you indecisive? Do you sometimes find yourself wavering back and forth, whenever you have to choose between two options that are not that easy to choose from? Do you ever tell yourself you're waiting on the Lord as a convenient excuse to procrastinate about a decision that you know you need to be make? A lot of Believers use "waiting on the Lord," as an excuse to be indecisive, when the truth of the matter is that they need to make a clear choice already. There's a big difference between waiting on the Lord and choosing to waiver back and forth about a decision and procrastinating about a clear choice that you need to make. Make sure you are not confusing indecision and procrastination with waiting on the Lord. There's no doubt that God is our source and supply; but God also helps those who help themselves. Believe it or not, indecisiveness is a form of double-mindedness, because when you choose to remain indecisive about an issue or area of your life that you need to make a clear decision about, you will be unstable in all of your ways attached to that issue or area of your life, because you are living in a state of self-doubt and ambivalence. 1.) You’ll waiver back and forth between two options that you need to decide on sooner than later. 2.) You’ll find yourself in a position where you have one foot in and one foot out of a relationship, friendship or job situation that you need to make a clear decision about. But wavering is easier since you really don’t want to go all in, but at the same time you don’t want to totally let go of it either. 3.) You’ll put off dealing with an issue that you need to address before the situation escalates. 4.) You’ll hold up someone else who needs to make a decision that is tied into your decision, but since you refuse to make up your mind, you keep the other person stuck in limbo. 5.) You’ll waste someone else’s time and prolong the inevitable because you want to have your cake and it eat too. 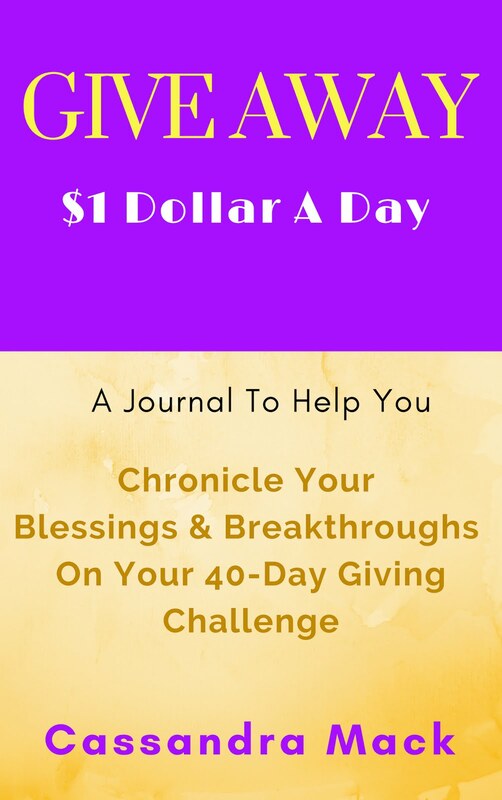 FASTING with The Soul Fast Workbook: Take at least 15-minutes today to renew your mind and fast from negative thinking by intentionally taking your thoughts captive as you complete your journal entry for (DAY 24 in the, Soul Fast Workbook.